Organizations look to higher cost of living as one reason for food bank usage increasing in the region. Food bank usage among seniors in Windsor-Essex has jumped by 16 per cent. At the Unemployed Help Centre, that number is even higher — 18 per cent. Lynda Davidson, food bank coordinator at Unemployed Help Centre, said some of them are showing up for the first time. 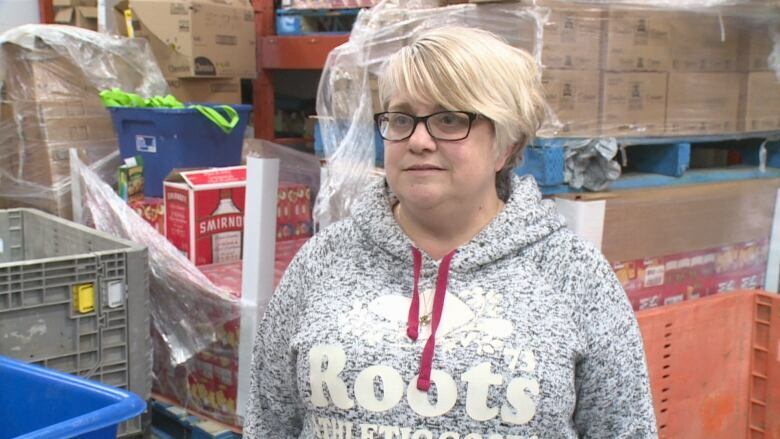 "Naturally it's disheartening when you see somebody for the first time in their life, to come to access a food bank, at that age," she said. "They don't want to be here." Davidson described a woman who had a dental emergency and had to use the food bank because she had no benefits to help with the unexpected expense. At the Unemployed Help Centre, Davidson said while the community is very giving around the holiday season, the need doesn't stop after that. 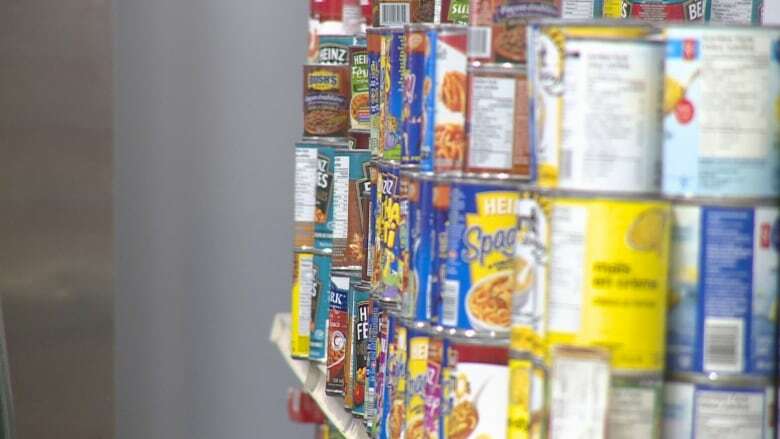 Even though there are many food drives happening at this time of year, once it gets to March or April, they start "feeling the decrease of donations." Across Ontario, food bank usage among seniors has gone up by 10 per cent, a growth three times faster than the general population. That number was released by the Ontario Association of Food Banks in the Hunger Report 2018. According to the report, 501,590 people used a food bank in Ontario between April 2017 to March 2018. Out of those people, 33 per cent were children. 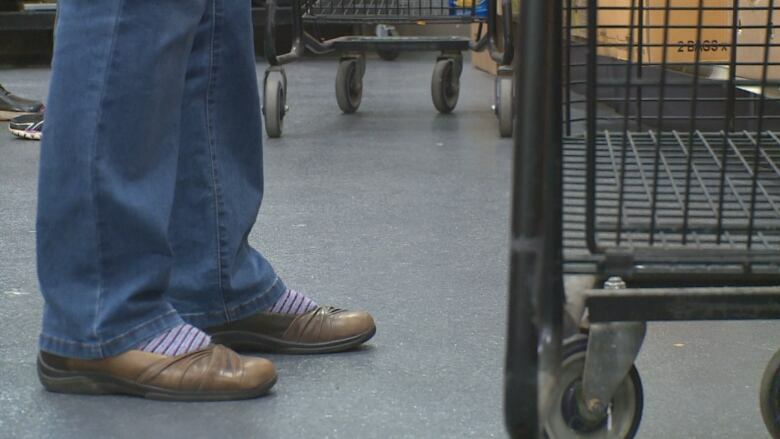 While the top reason listed for visiting a food bank was changes to benefits or social assistance, at 35 per cent, low wages and not working enough hours came second at 16.8 per cent. "People might be in precarious jobs. People might be earning minimum wage," said June Muir, CEO of Unemployed Help Centre. She said some jobs they see at the centre pay up to $21 or $22 an hour, which is "not enough to live on" if the person is supporting a larger family. Muir, Davidson and Ron Dunn, executive director of Downtown Mission, all point to the rising cost of living as reasons why food bank usage has increased. "Usage is up, not just in the food bank with seniors, but seniors experiencing homelessness as well," said Dunn. "Programs like the mission are having trouble keeping up, quite frankly." He mentioned food rescue programs in the region as being key to helping people access food, but said the programs aren't cheap to run. He expects next year's budget to be tight, especially given that a recent study on food prices has projected a spike for 2019. "It's going to further push the need of programs like the Downtown Mission, and others, to keep expanding," said Dunn. "Sure I don't speak for them all, but I can sure tell you that from our perspective, we're being pushed really to the limit."